Join us at the bookstore, in partnership with MIT Department of Physics, in welcoming Robert Jaffe and Washington Taylor for a discussion of energy and their book, The Physics of Energy. Energy plays a central role in science and in human society. Changes in energy sources and technologies have driven the major technological advances that make possible our current society. And energy choices in the coming decades will have a powerful impact on the future of humanity and the planetary ecosystem. While these energy choices are fundamentally driven by economic and political considerations, any sensible analysis of the options must be grounded in the fundamental science of energy. The Physics of Energy provides a comprehensive and systematic introduction to the scientific principles governing energy sources, uses, and systems. Students, scientists, engineers, energy industry professionals, and concerned citizens with some mathematical and scientific background who wish to understand energy systems and issues quantitatively will find this book of great interest. Robert L. Jaffe holds the Morningstar Chair in the Department of Physics at MIT. He was formerly director of MIT’s Center for Theoretical Physics and recently chaired the American Physical Society’s Panel on Public Affairs. 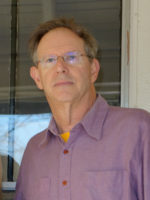 Jaffe is best known for his research on the quark substructure of the proton and other strongly interacting particles, on exotic states of matter, and on the quantum structure of the vacuum. He received his BA from Princeton and his PhD from Stanford. In recognition of his contributions to teaching and course development at MIT, Jaffe has received numerous awards including a prestigious MacVicar Fellowship. Jaffe is a member of the American Academy of Arts and Sciences. Washington Taylor is a Professor of Physics at MIT, and is currently the Director of MIT’s Center for Theoretical Physics. Taylor’s research is focused on basic theoretical questions of particle physics and gravity. Taylor has made contributions to our understanding of fundamental aspects of string theory and its set of solutions, including connections to constraints on low-energy field theory and observable physics and to new results in mathematics. Taylor received his BA in mathematics from Stanford and his PhD in physics from UC Berkeley. Among other honors, Taylor has been an Alfred P. Sloan Research Fellow and a Department of Energy Outstanding Junior Investigator, and has received MIT’s Buechner faculty teaching prize.